I not only think but also look and study things carefully. When I travel around, I look at things carefully, make comparisons of what I see. I don’t accept things at face value; you cannot trust what you hear or see. Don’t jump to conclusions without thinking. Without that initial catalyst of Intellect Thinking, all your company’s expensive investments in your human capital training and development will go to waste, or at best, be effective for only a limited period. 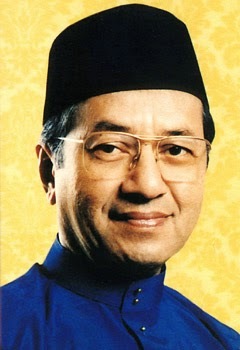 Now we have another example of an Intellect Thinker: Dr Mahathir, a living legend who is the Architect, Engineer, Tactician and Strategist that brought an unprecedented historic change to Malaysia on 9 May 2018 by dethroning the ruling government which had continuously remained in power since the nation’s independence in 1957. I consider Dr Mahathir an Intellect Thinker, not merely because of what happened in Malaysia’s recent general election, but also because of the evidence accumulated from my research in the last 6 months studying his interviews, speeches and videos, both past and present.